* Save time and money, not to mention lots of energy! 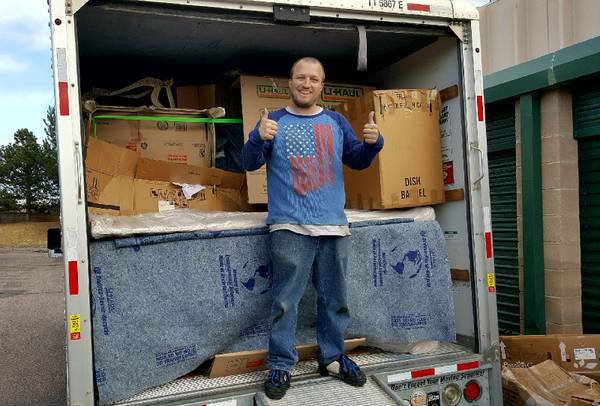 YOU rent the truck, and WE will bring the skilled movers and equipment to load/unload your belongings. 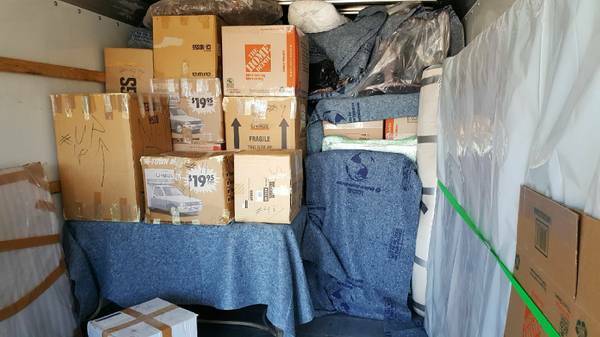 We can also drive your moving truck or rent one for you for an additional charge. 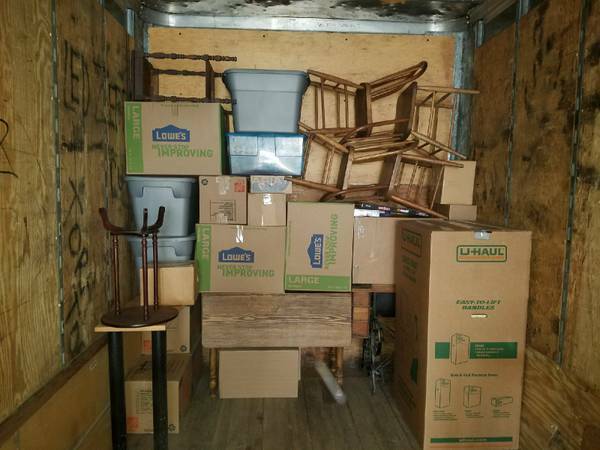 * We can load your truck like its the "TETRIS" championships. 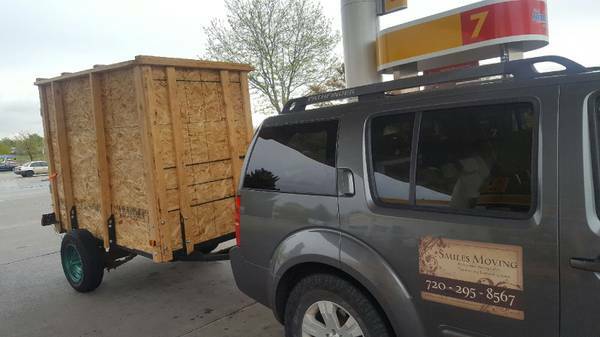 :) We know how to use all of the cubic feet of your rental truck to get the most value out of it. 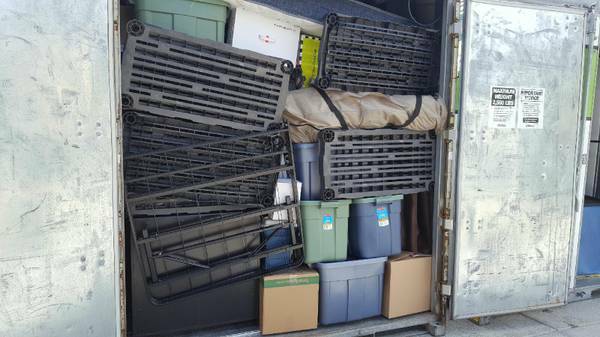 Everything is organized and loaded in truck by weight, size of piece, and fragility to keep all of your nice pieces in pristine condition during transport. * Tons of experience with heavy and odd shaped pieces through difficult stairways. There is almost always a technique that will work to get it into the spot you want. 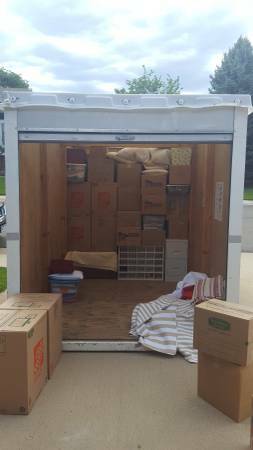 * We offer free of charge use of our dollies, 4 wheel dollies, ratchet straps to secure your load, and free use of 10 moving blankets on local moves as well as roll out rubber mat for hardwood floor front entrance included. We also provide all basic tools to take apart anything you need. Free shrink wrap up to 3 pieces also provided if you have you have any dressers, couches etc that need wrapped. 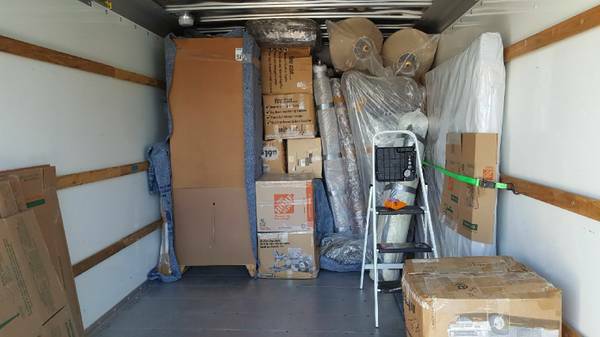 (Now also offering a 4 X 8 enclosed TRAILER for your move for an additional $15 per hour, so you can save even more by skipping the truck rental or getting that little bit of extra loading space if your rental truck isnt quite big enough.) Very efficient for small moves or one piece moves. * No hidden fees whatsoever, I am very transparent and upfront about any costs! 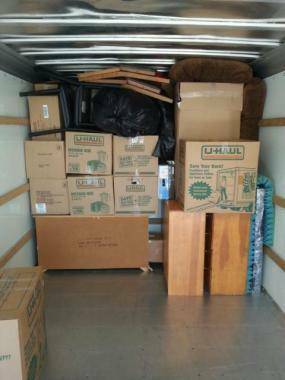 * Each mover has 5 - 15 years of experience. * Cash or venmo accepted as payment upon completion. * Call Nick at 720 295 8567 to schedule your move!. "Get it all done in one day" My wife runs cleaning services. 1. Pack all similar items together, such as dishes, small appliances, electronics, chemicals, books, etc..
2. Put plenty of newspaper, packing paper, or you can use your towels and wash rags to fill boxes to the top to protect breakable items. 3. Take apart bed frames, attached mirrors, and empty drawers if possible. 4. Make sure to have bottoms and tops of boxes taped with at least 4 strips of tape going horizontal and vertical. (Brown tape works much better). Boxes like to fall apart or dump items out of the bottom with the "fold only" method and is not recommended. 6. Disconnect any electronics or appliances that the movers are taking. 7. Put salt on sidewalk leading up to house if snow or ice will create unsafe travel to truck. 8. Try to have parking reserved if street is crowded such as downtown, or if no other entrances are available. 9. Have animals and small children in a safe place on the day of move. 13. 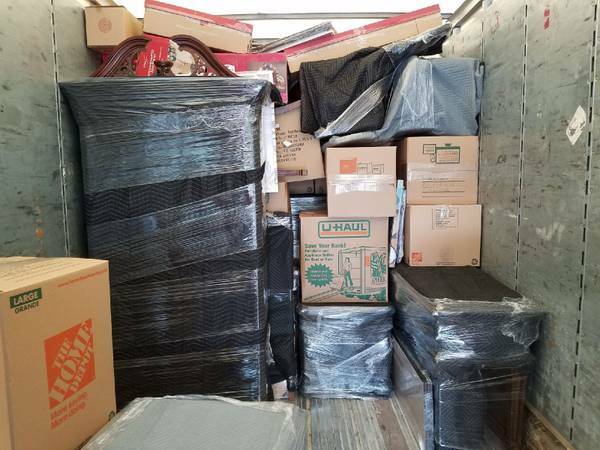 If you are using your own rental truck and are moving out of state, make sure to buy or rent some of the furniture pads or have some old blankets available to use to cover your nice furniture to protect during transport. (Large jobs can use up to 40-50 if you would like everything covered). 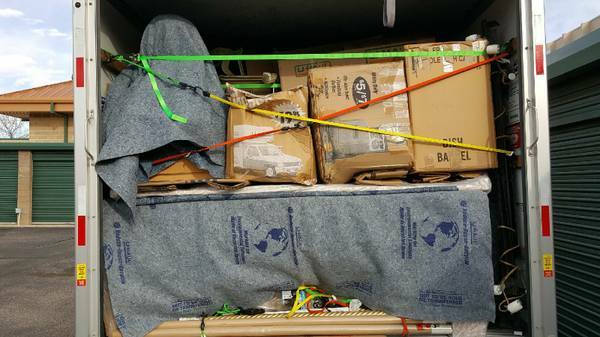 Also recommended to have rope or ratchet straps to secure your load to truck. 14. Use a color code system for quick unload. Put a small colored sticker on each box and piece of furniture, and get a different color for each room and then simply put one of the stickers at the doorway of each room pertaining to its particular furniture and boxes. That way you wont have to be there the whole time guiding the movers where to put each item. 15. Have customer or qualified person present on the day of move. 16. Have all your keys prepared before hand for storage units, new home, etc..
17. Garage items can be taped together such as shovels and rakes. Trash cans can also be used to gather garage stuff. 18. Empty fuel and liquid remaining in lawn equipment, lanterns, shampooers, etc. 19. 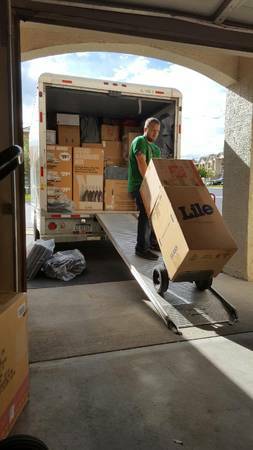 Have elevator reserved before hand if you are in a high rise, getting elevator locked off can save you lots of time and money on your move. 20. Take all shelves (especially glass) and dowels out of book cases, entertainment stands, etc. Many pieces will need to be turned on their side or tilted dramatically to get through stairways or tight turns where furniture will not fit through positioned the way it stands normally. 23. When renting a truck, always get a size bigger than you think you need. 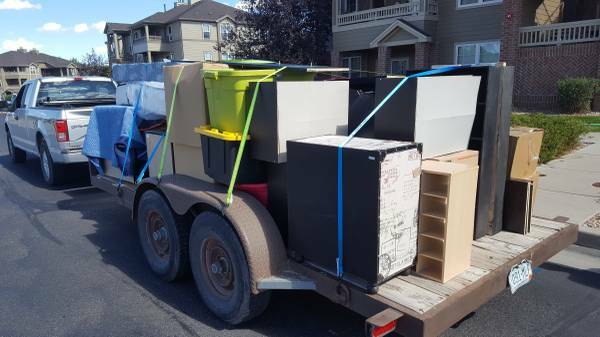 Many jobs take two trips because customer has more stuff than truck can hold. 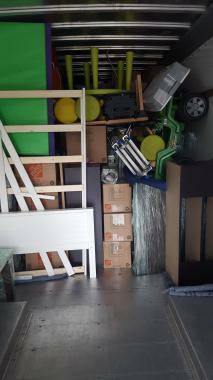 Also 15ft, 16ft, and 20 ft trucks only have a 8 ft height inside truck box but the 26ft truck has a 12ft height inside box which can fit a lot more and larger pieces can be stood up to make more room as well and fragile and rigid pieces can be more easily separated from each other. 24. 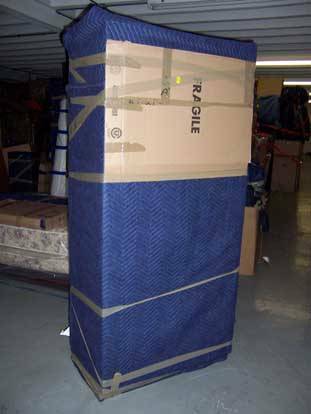 If you would like your nice pieces padded and shrinkwrapped before loaded into truck for extra protection, We are glad to do this for you, just note that it does usually add an hour or two to the job.